Want to introduce robotics, coding or STEM to your child? Here’s a perfect opportunity for you, at just $10*! This workshop is only applicable for FIRST-TIMER* only! Age: 4 years to 5.5 years old. 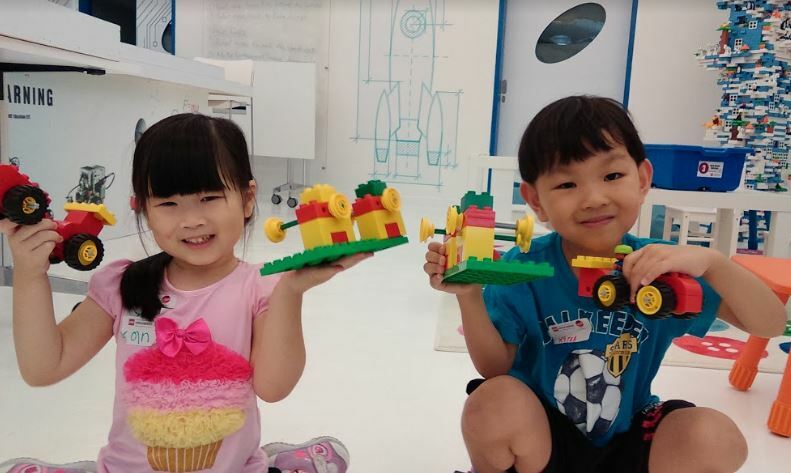 In this workshop, we will attempt to build a car launcher which sparks curiosity around the kids and explore the basic mechanical principle such as force and friction. Exploring energy and friction, push and pull, and wheels. Age: 6 years to 9 years old. In this workshop, we will be building up Milo, the Science Rover which will kickstart children into the world of scinence and coding. Explore different ways scientists and engineers reach remote places. Create and program Milo the Science Rover. Document how Milo can help you discover a special plant specimen. At just $10 to sign up for a workshop, attendees will also get to redeem a free “LearnToLearn” kit by LEGO Education. Hurry, register now to learn about STEM education through playful learning!